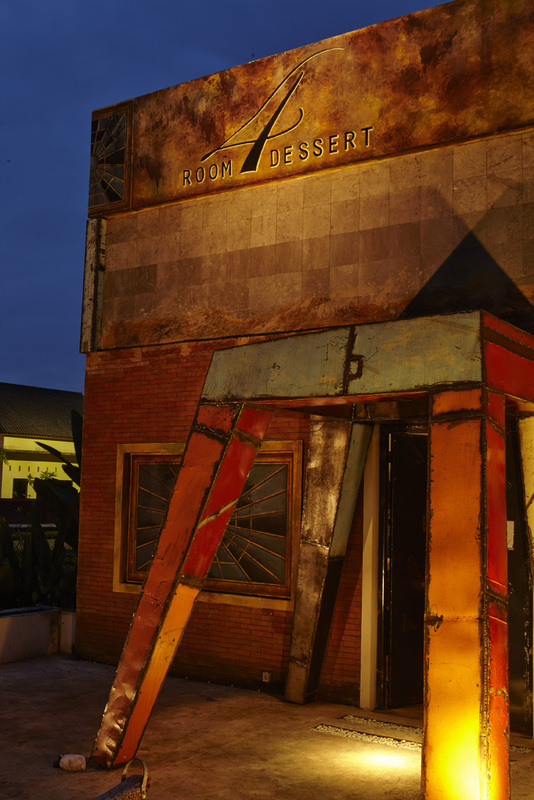 R4D fka Room4Dessert Ubud is a little hideaway on the outskirts of Ubud that has braved the odds, seismic shifts, and other slings and arrows of outrageous fortune to make it through its fifth year of sweet and spirited delight. What started out as a lark in 2005 in Nolita, New York, that den of iniquity currently populated by mass retail, has grown into something much larger. Did we mention it was much larger? The original space, which received rave reviews on its way to burning out before fading away, was just 8 feet wide. Our new space has much more feet. On Jalan Sanggingan, or as literally nobody calls it, Ubud High Street, Chef Will and his merry band of kitchen, bar and service pranksters serve up a multicourse fiesta, nay, extravaganza - including pleasantly provocative cocktail pairings, and a dynamite bubbles list. The secret garden area, less secret now of course, provides the aromatic plants so essential to our programme. An experience of savory snacks, plated desserts, and hand held petits fours feature locally sourced products, etcetera etcetera and so on - utilizing techniques designed to minimize waste and crank up the flavor to 11. Drinks have been carefully blended by our extraordinary bar man with the same painstaking approach to detail and joy - liquid enhancement of each and every single morsel while you are under our roof. Come see how we take care of the aromatic plant kingdom in Ubud. A new generation of Balinese and Indonesian service staff await to take care of you. Come and join our family for treats: See you soon! Soon to be seven courses individually plated. We regret that we are unable to make any changes to the tasting menu or provide any dishes a la carte, takeaway, delivery, or any other method of consumption other than instantaneous. We also do not recommend this area for children under the age of 12. Cuisine: Experience; I mean really, what is dessert anyway? Drink pairings. Killer wine. Dress Code: Smart casual. Gents, kindly no alcohol branded tank tops. Price point: About 38 United States dollars per person per menu. About 79 per person for the full Tasting Experience with Drink Pairing.